VAT-Exempt Products You Should Know About? 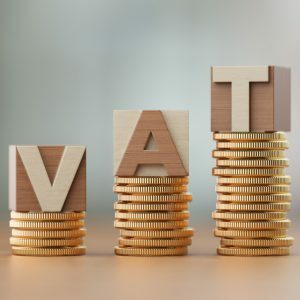 VMost products sold in the United Kingdom require the producer to charge a value-added-tax, or VAT rate at the time of the sale, also known in other countries as a goods and services tax, or GST. However, certain goods or services are exempt from VAT charges. Here’s a quick look at some products and services that are exempt from VAT to know about before you make your next purchases. Food and drink for human consumption are usually zero-rated with some conditions. Catering, alcoholic beverages, confectionery, crisps, hot food, sports drinks, hot takeaways, ice cream, soft drinks, and mineral water all have VAT applied. While most raw goods are exempt, a good rule of thumb is any prepared food must charge VAT. Several sports and leisure purchases are exempt from the VAT rate. These include betting and gaming, bingo, lottery tickets, lottery games, and retailer commission on lottery sales. Admission charges to cultural places like museums, zoos, and art exhibitions are also exempt from VAT rates. Buying antiques and works of art are also tax exempt. Admission charges by charity and charitable fundraising events are all exempt from the VAT rate. Other functions related to charity are zero-rated. These include advertising services, goods sold at fundraising events, or charity shop sales from donated goods. Health care and medical treatment provided by a hospital, hospice, or nursing home is also exempt from VAT. Prescriptions from pharmacists and health services from doctors, nurses, dentists, and other health professionals are considered VAT exempt. Other VAT exempt items include building services for disabled people. Mobility products such as home lifts could be classified as VAT exempt if used for this purpose. Equipment designed to be used by blind or partially sighted people is zero-rated. Funeral plans for the recently deceased are VAT exempt. Items classified as utilities are VAT exempt. This list includes cesspools, septic tanks, sewage services, and water supplied to households. Most construction is considered VAT exempt. This construction includes the installation of a bathroom, construction ramps or widening doorways and passageways in a home. Renovating a dwelling that has been vacant for at least two years is also VAT exempt. Parking lots and garages for tenant’s use are also VAT exempt. When it comes to travel, only aircraft repair and maintenance are VAT zero-rated. The domestic leg of freight transport inside the EU is zero-rated. International freight transport that takes place in the UK is also zero-rated. The sale of airships, caravans, civil airplanes, helicopters, and houseboats are all considered VAT zero-rated. Printing brochures, leaflets, and pamphlets are all zero-rated. Direct-mail postal services provided by the Royal Mail are exempt. Other postal services are standard-rated. When it comes to publications, books, children’s picture books, maps and charts, magazines, and newspapers are all zero-rated. Some items are standard-rated such as exercise books and letterheads. Most babywear and children’s clothing are zero-rated. Other protective equipment is rated at 5%, though protective boots and helmets for industrial use are zero-rated.